Exclusive loot could be coming soon. Apex Legends players with a Twitch Prime account may soon be in luck. According to one of the game’s data miners on Twitter, a new and exclusive Pathfinder skin could be coming for Twitch Prime users. The rewards have yet to be confirmed by either Respawn Entertainment or Twitch, although it’s safe to say the exclusive loot would be more than welcome across the Twitch community. Twitch Prime has released rewards for popular titles in the past with great success. Both Fortnite and PUBG have received free loot for Twitch Prime users, and now Apex, still early in its release, could join the list. Since its release a week ago, Apex Legends has reached over 25 million players and topped Twitch’s list of games in views. As the game’s first official tournament, the Twitch Rivals Apex Legends Challenge is also underway, boasting a $200,000 prize pool and 48 of the platform’s biggest names. 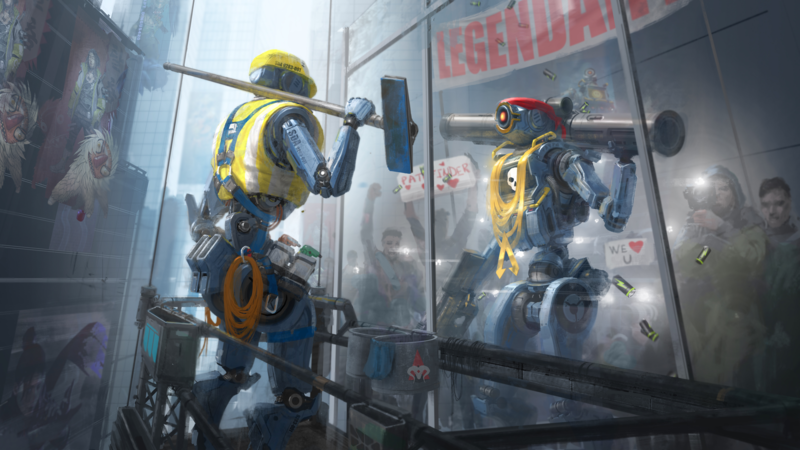 Apex has seen a number of other leaks, including one hinting at solo and duo queues for the future of the team-based battle royale. Likewise, a Twitter user found code suggesting an upcoming ranked mode to satisfy the most competitive of Apex players.